Blast from the Past, Ben Elton, Delacourt Press, 1999, ISBN 978-0385334556, 304pp. 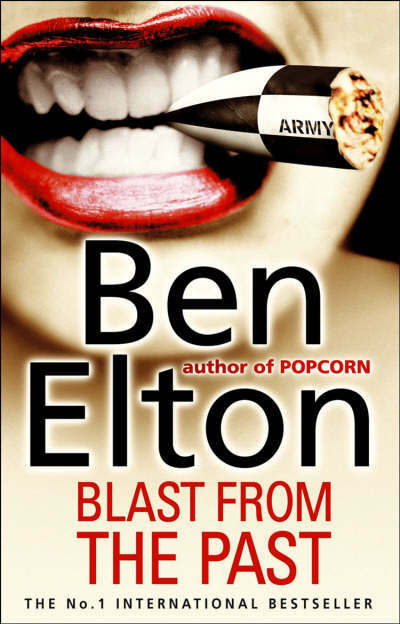 I’ve long meant to read the novels by Ben Elton, a writer whom I have admired for his movie and television work of comic genius such as Four Weddings and a Funeral, Blackadder, and Love Actually. This is his fourth or fifth novel, and I figured that me must have been able to shift into a new medium with some success, not to mention that I had seen some recommendations for his novels in places that I usually trust. Unfortunately, this book didn’t work for me. I did finish it, but I think that was due in part to my not wanting to start another book so near to my recent vacation and that I was actually reading it quite quickly. The problem here stems from Elton’s choice of comedic material: the juxtaposition of an ultra lefty in the person of Polly, who once protested the American presence on British soil by chaining herself along with a group of other female peaceniks to the gates of the military base, and Jack Kent, an ultra righty who was one of those American soldiers, now risen to the rank of General and on the precipice of becoming the next head of the U.S. Joint Chiefs of Staff. Neither Polly or Jack are believeable characters, which usually isn’t a problem in a comedy novel, as believability often takes a back seat to exaggeration. But by making them opposite sides of the political coin, some of their aspects are not so much exaggerated as inconsistent, especially in the use Elton puts them into service of the thin plot. They are, instead, means by which Elton proceeds to skewer both political persuasions and this might work if they weren’t each so full of straw that his darting arrows not only pierce but proceed to explode the propped up dummies, to extend and exaggerate the metaphor. He also is exceedingly graphic, especially in his portrayal of the physical attraction of these opposites in the backflashes to their initial meeting, which is more squirm-inducing than arousing. As the book works inevitably to the climax, and as Elton has his characters move around to the spots where everything will proceed as he wants, he has to have them repeat themselves to the point of annoyance. Halfway through the book, I debated if you could make a drinking game out of every time Polly demanded that Jack answer why he had returned after 30 years and then revealing that she was still attracted to him. It’s the kind of thing that might have worked in a screenplay, because it could have been excised by the director or editor. Compared to books by other British TV alumni such as Stephen Fry or Hugh Laurie, this was a major disappointment. I’m hoping that this was just an off-book, and that Elton’s others are much better. It may be some time for me to try one of those after this book, though.